Limited edition prints of this artwork celebrating the iconic carts used for transportation and by vendors in Jerusalem. Comes with a certificate of authenticity from the artist. A traditional sight in the Old City, the wooden cart is traditionally used to transport goods and sell the Palestinian sesame-covered bread, ca’ek. 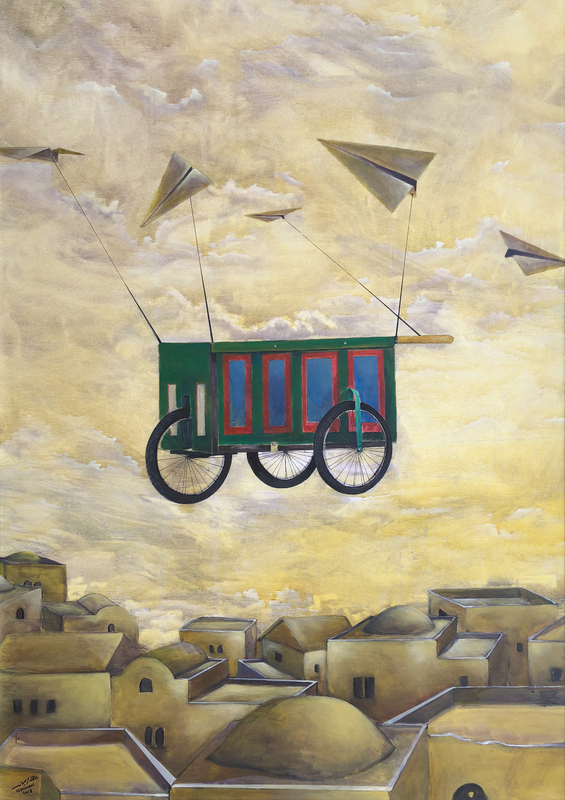 In the face of new restrictions by the municipal authorities on the production of ca’ek, and attempts to formally register and repaint the carts, Ahed uses his characteristic paper plane image and the flying cart as a metaphor for the search for autonomy and freedom. Medium: Limited edition of 50 giclee prints on archival paper and signed by the artist.